Which restaurant do you go? Behavioural finance is the study of the influence of psychology on the behavior of financial practitioners. 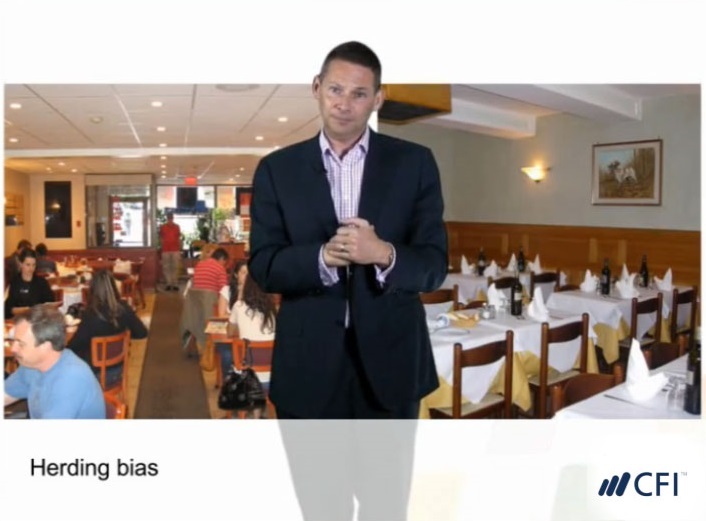 In this three-part behavioral finance course, you will learn about the wide range of decision making biases and information processing errors that influence our financial decision making. In this first section of the behavioral finance course, we explore how behavioral finance helps to explain market activity and the behavior of financial practitioners. By the end of this module, you will have a solid understanding of various behavioral biases including the overconfidence and optimism biases. In this second module of the course, we explore a wide range of behavioral biases and information processing errors. By the end of this module, you will have a solid understanding of the self-attribution, hindsight, confirmation and representative biases. 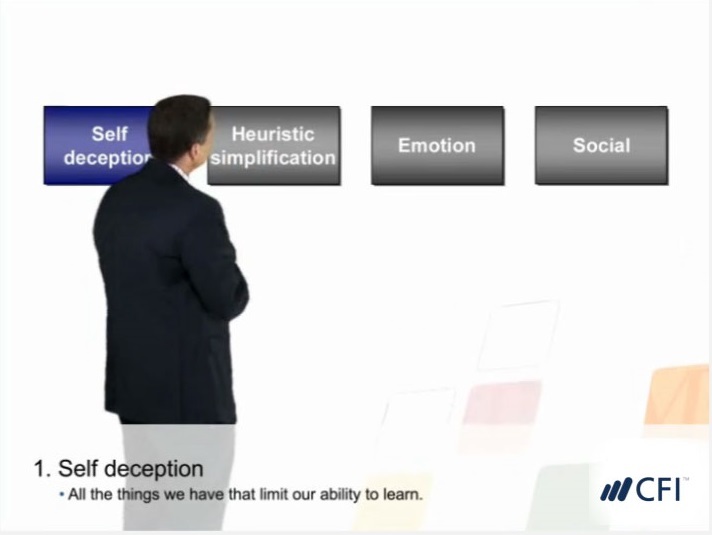 In this third module of the course, we continue our exploration of various behavioral biases and errors as well as learning how decision making is impacted by others. By the end of this module, you will have a solid understanding of the anchoring bias, loss aversion, and herding behavior. This module incorporates sophisticated search and navigation tools that allow you to go at your own pace while pop quizzes get you to test what you have just learned. This course also includes a PDF reference guide – Behavioural financial glossary - that can be used while taking the course and downloaded to your computer for future reference. This behavioral finance course is designed to help you be well rounded in your analysis and help you become a complete financial analyst. This class is one of the elective courses for CFI's financial analyst training program, which grants the Financial Modeling & Valuation Analyst (FMVA) accreditation. Excellent delivery of the course. The structure was perfectly arranged and the instructor was very elaborate, using practical illustrations and references. Good financial psychology that guides you in decision- making in the finance industry and societies as a whole. Has really shaped my cognitive behaviors when facing financial decisions. Thanks, CFI. My very first experience into Behavioural Finance- Loved it! This is the first time I've learned about behavioral finance. The course made it very interesting! It was very well taught and explained. Loved it! This is a very interesting course. 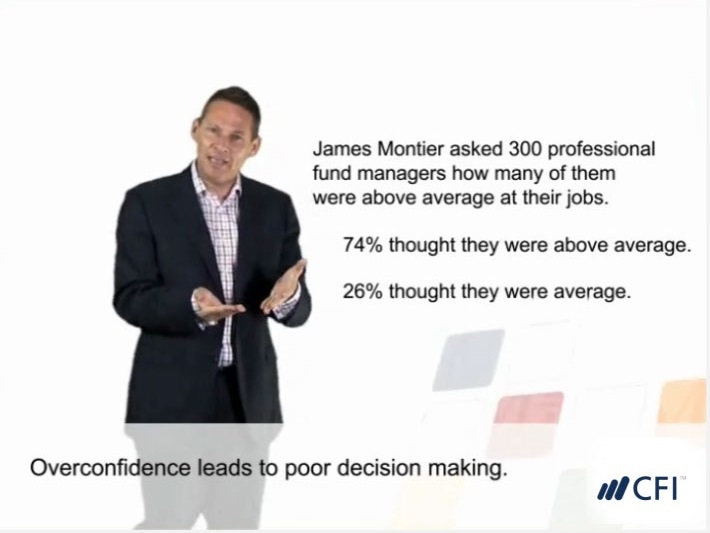 Behavioral finance is fascinating! The course does a great job in covering a wide range of decision-making biases and information processing errors. I really like this area of finance and the way Scott explains it is very insightful, thanks!